FriendGrief: "Bury His Heart, But Not His Love"
I've never been called upon to give a eulogy for a friend. I wrote the eulogy a hospice chaplain read for my father’s funeral. 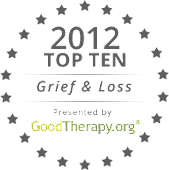 I’ve made remarks at friends’ memorial services. But I’ve never given a formal eulogy: never stood up in front of a gathering of mourners, script in hand, before a microphone, praying for strength. The photo here is one of the most iconic images of September 11, 2001. Fr. 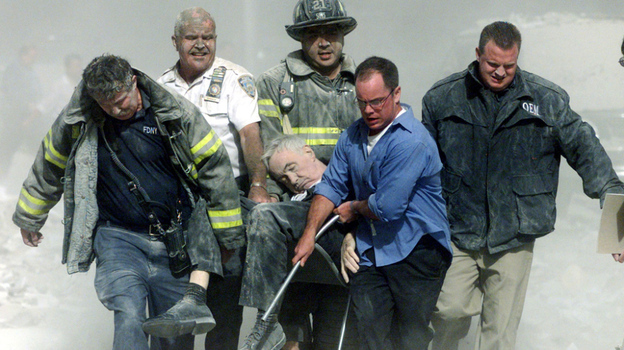 Mychal Judge was a New York City fire department chaplain. He died ministering at the World Trade Center. His funeral, at St. Francis of Assisi Church on West 31st Street four days later, was nationally televised. Franciscans are required to leave instructions “in the event of” their death, and on the morning following the attacks, Fr. Michael Duffy was told that Fr. Judge had left instructions for him to give the eulogy. I was shaken and shocked … for one thing, as you know from this gathering, Mychal Judge knew thousands of people. He knew, he seemed to know everybody in the world. And if he didn’t then, they know him now, I’m sure. Certainly he had friends that were more intellectual than I, certainly more holy than I, people more well-known. And so I sat with that thought, why me … and I came down to the conclusion that I was simply and solely his friend … and I’m honored to be called that. How do you sum up a life and a friendship? Fr. Duffy’s eulogy is as good as they get: personal, joyful, mournful. Even if you never met Fr. Judge, by the end of the homily you’ll feel that he was your friend, too. Thanks to Fr. Duffy for teaching us all about his friend.